S alads are usually pretty ubiquitous at any summer barbecue -- you have to have at least one green thing amongst the sea of meat right? But they are rarely the star of the show and are frequently left to be piled into a large bowl and smothered with some sort of dressing. There is no reason this should be the case, because as it turns out, salad greens are even better when grilled. Adding grilled greens to vegetable salads can also play off of other summer vegetables like tomatoes, corn, and squash. 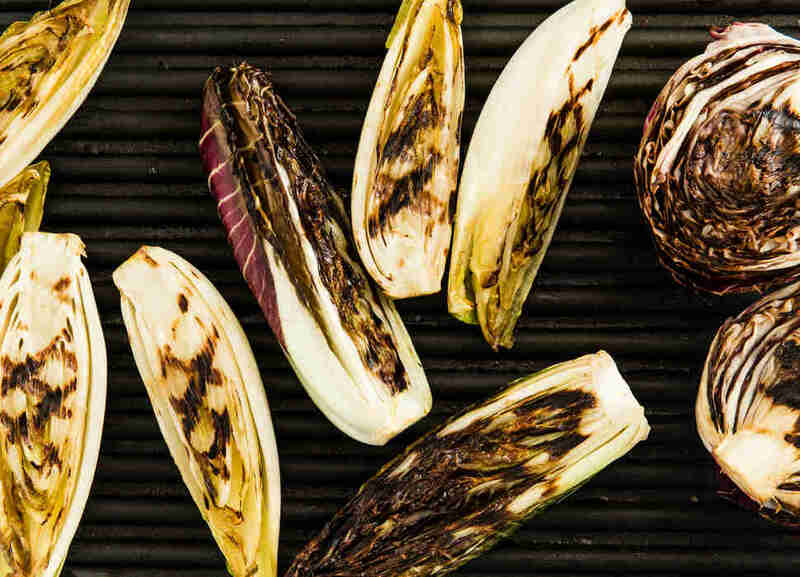 “The smoke and char on the greens works with the sweetness and texture of other vegetables you would normally grill like zucchini and bell peppers,” he adds. Grilling greens is easier than you think. 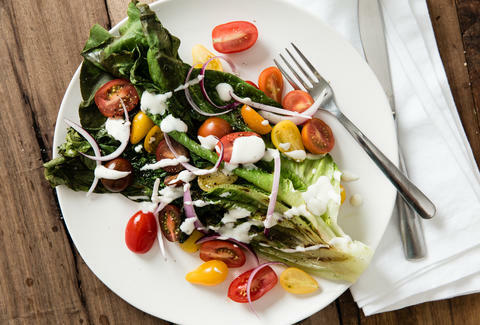 Just follow guidelines below and you’ll be grilling up impressive salads in no time. 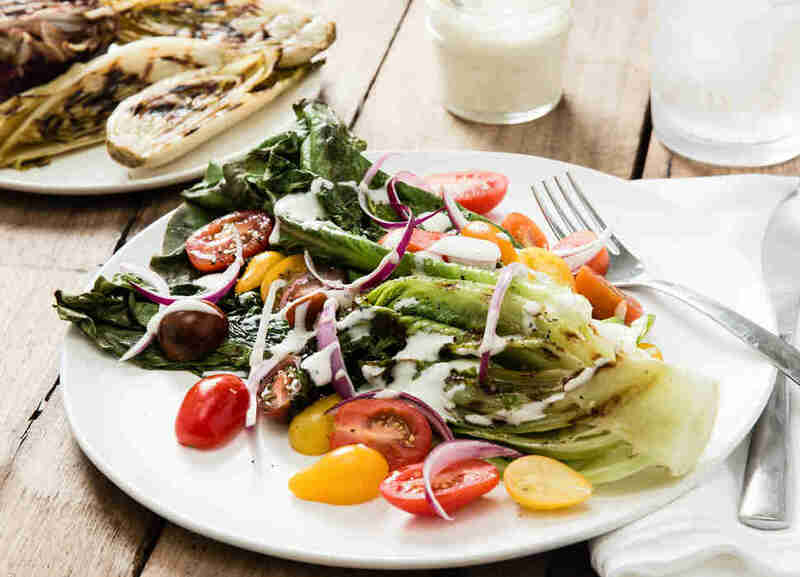 Chef Jeremy Fox, owner of Rustic Canyon in Santa Monica, California says that grilling salads should start with a green that works with what other vegetables are in season. “When you’re creating the salad start at the market and see what’s available,” he says. The structure of the green also matters. Fox recommends going with greens with tighter heads like romaine, radicchio, and endive. Since the greens are tightly packed they’re less likely to fall apart during grilling and will retain some of their crispness. “You can grill any greens but these greens will keep their texture,” he says. “I like to grill collard greens because they get a nice smoky flavor and they have a pleasant bitterness to them,” Johnson adds. He also likes to grill bok choy and butter lettuce because the grill quickly imparts a nice smoky flavor. Both Fox and Johnson agree that cooks should think about how the other components of the salad will play off of the smoky, charred flavor. Fox says that sweetness is an important component of a grilled salad since there’s char and bitterness already present. “I would also think about acid like a vinegar or a citrus flavor to cut through some of that bitterness,” he adds. A creamy dressing or a crunchy element like nuts or seeds are also a great compliment to grilled greens. So you’ve got your greens and the other ingredients for your salad and it’s time to grill. Now what? Johnson likes to leave hearty, stemmed greens like collards dry when he’s grilling them so their natural oils come out. And go ahead and keep the stem on. 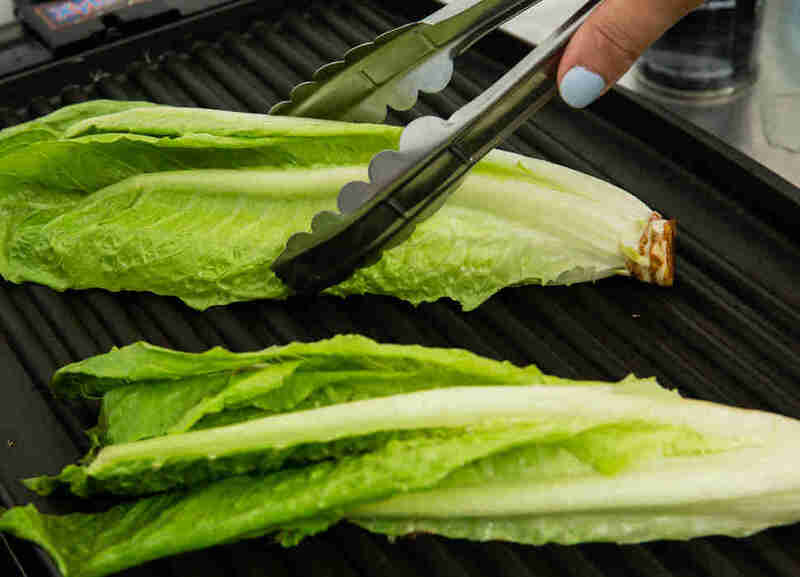 “Keeping the stems on helps you grill them easier,” he says. 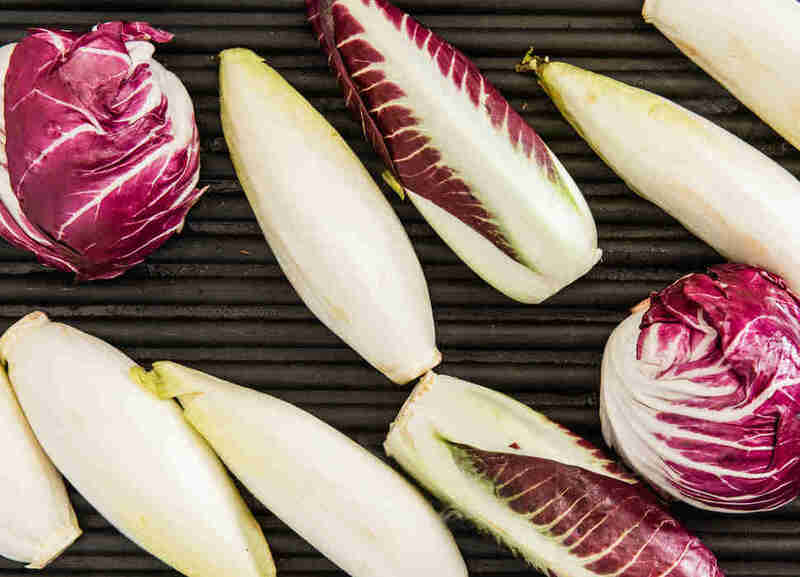 Whole heads of radicchio or endive can be grilled whole and then chopped for a less messy grilling situation too. One of the best parts about having a grilled salad is that you don’t have to serve it ice cold. “The flavors work better when you serve it warm,” Fox says. The salad can be dressed right before bringing it to the table and a protein like chicken or shrimp can be added to take it from side dish to main dish. Grilled greens are a great way to add a smoky flavor to your favorite summer salads. Experiment with your favorite greens and remember that even if they get too charred it’s OK. “Have fun and if it’s not perfect that’s fine,” Fox says. “You’re cooking for your friends and family and if you mess up they’ll still love you. Hopefully." Korsha Wilson is a food writer, graduate of the Culinary Institute of America, ex-restaurant worker, and an ex-cheesemaker. She is the founder of A Hungry Society, a podcast dedicated to creating a more inclusive food world. If you want to see her geek out, ask her about the role of restaurants in modern society or "real" crab cakes -- she grew up in Maryland.